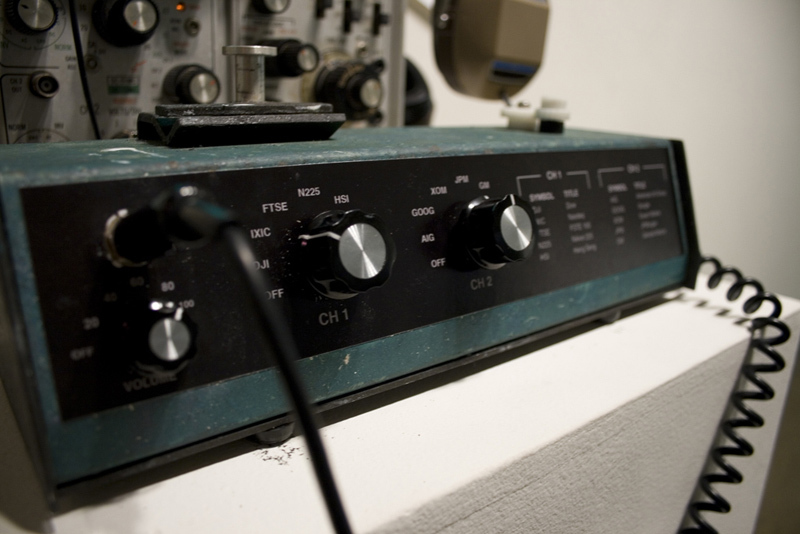 The Auditory Equity Interpreter translates selected current stock prices into sound. 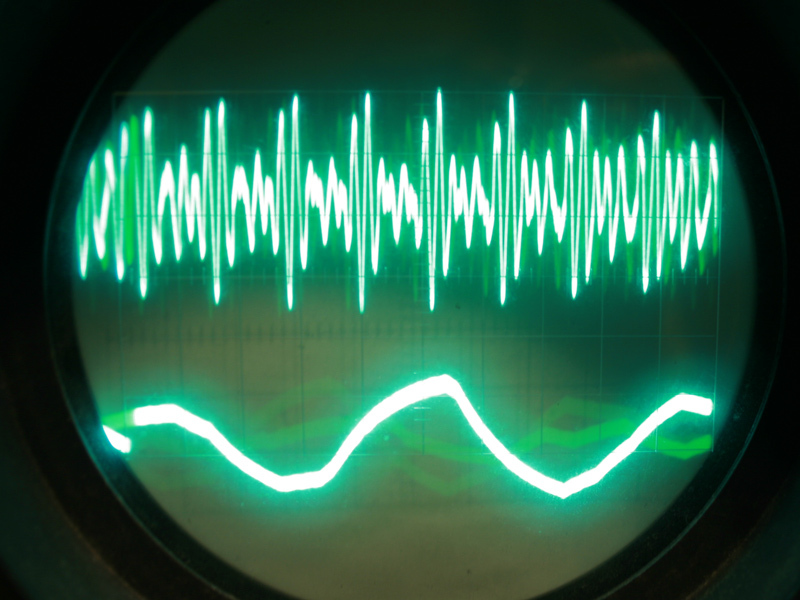 Dynamically generated sound sequences, are passed into a Brownian Motion Rhythm Generator and further processed. Brownian Motion theory is often used as a mechanism to predict the stock market fluctuations. Similar mechanism is implemented in The Auditory Equity Interpreter to determine the subsequent musical tone values, ultimately generating a unique aleatoric composition. 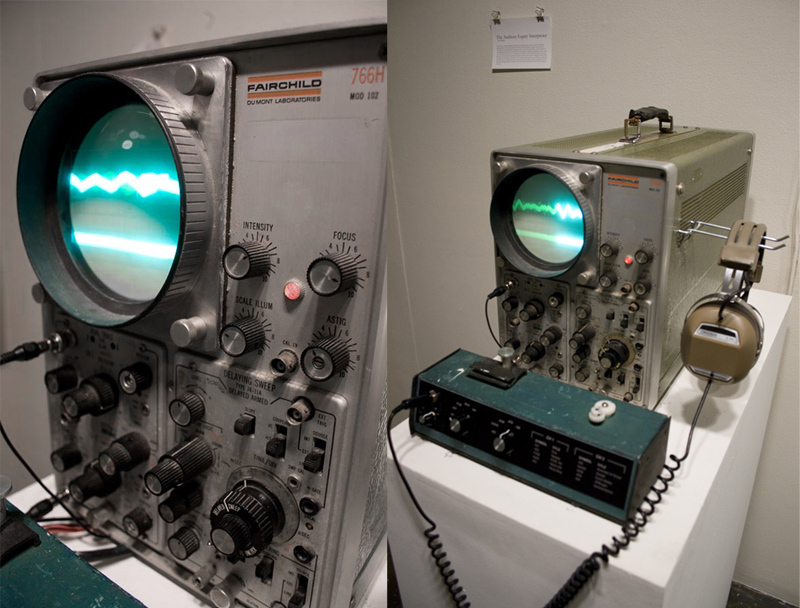 The sound waveforms are then displayed on the fully functional vintage Oscilloscope giving the user full control to examine the minutia of the sound/stock relationships. The Auditory Equity Interpreter takes the seemingly abstract numbers of the Stock Market, and translates them in real time into a perceptual experience.